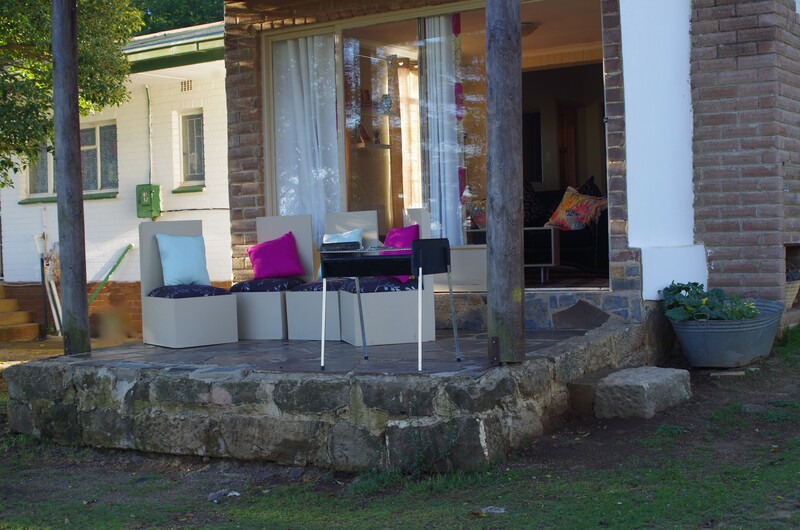 Whether you are visiting Bethlehem for business or pleasure Chara will satisfy your desire for a restful country retreat to work in or spend some quality time with your family. 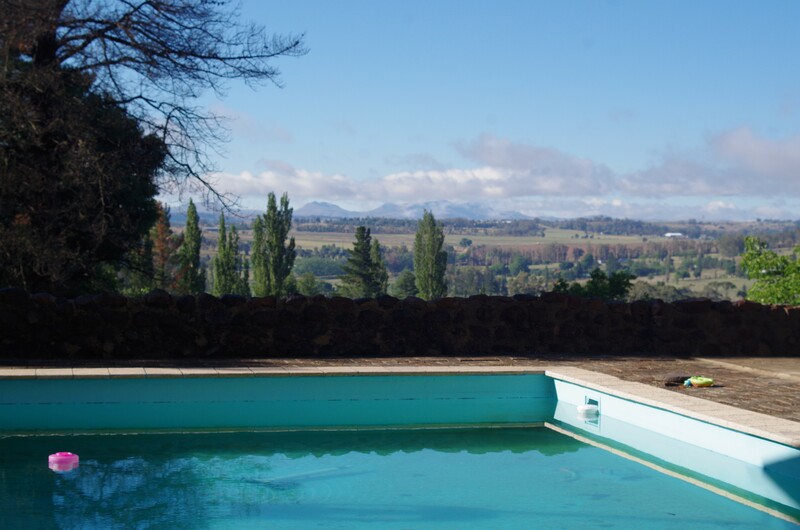 After breakfast you can have a swim, pony ride, go fishing & boating or take in the vistas on a hillside walk. A beautiful self-contained apartment with stunning mountain views is all yours. 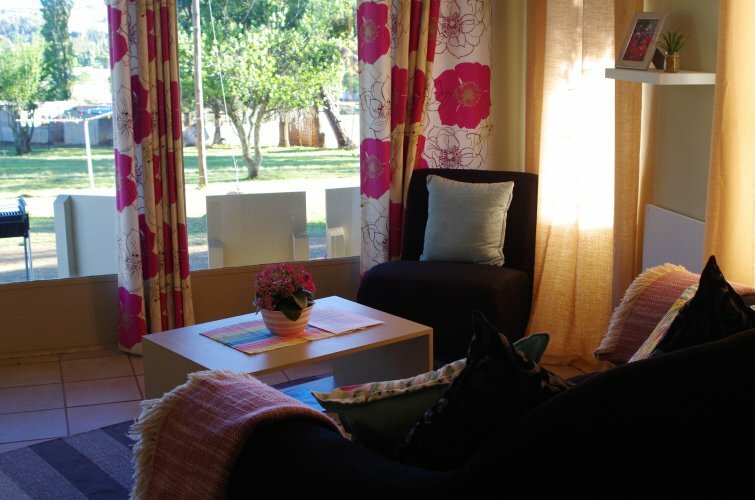 Located only four minutes from the town centre and mall, two minutes from Mediclinic and 20 minutes from Clarens. 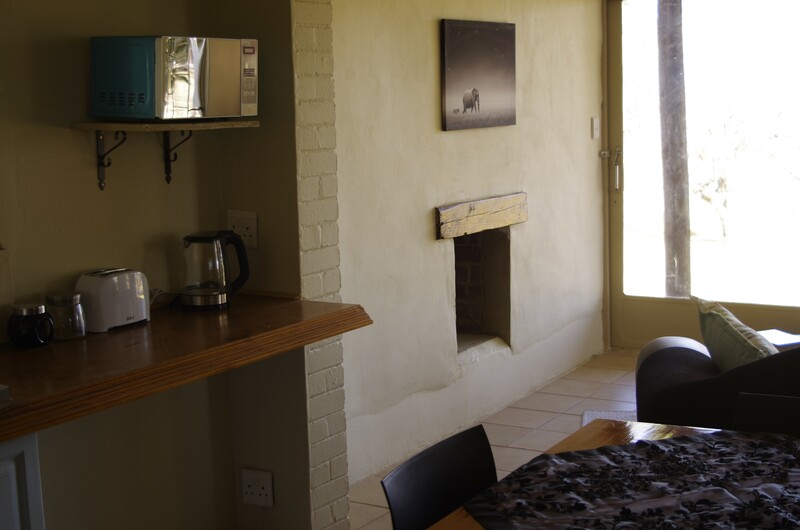 Your apartment has an open plan Kitchen/dining/lounge complete with a cosy fireplace, comfortable bedrooms with plenty of cupboard space and an outside stoep with impressive views. Even your car is cared for with undercover parking. 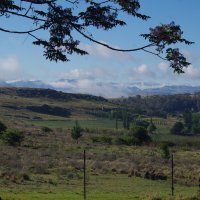 We have a private gate onto a dam excellent for fishing We have a number of farm animals for the children to meet and all our fields are accessible to guests. You will be warmly greeted and taken care of by our family who are always close by should you need anything. 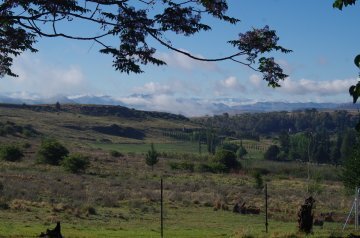 We are situated on a tar road on a quiet small holding overlooking the Maluti and Rooiberg Mountains. You will feel hidden in the country but can be at the supermarket in minutes...ideal! 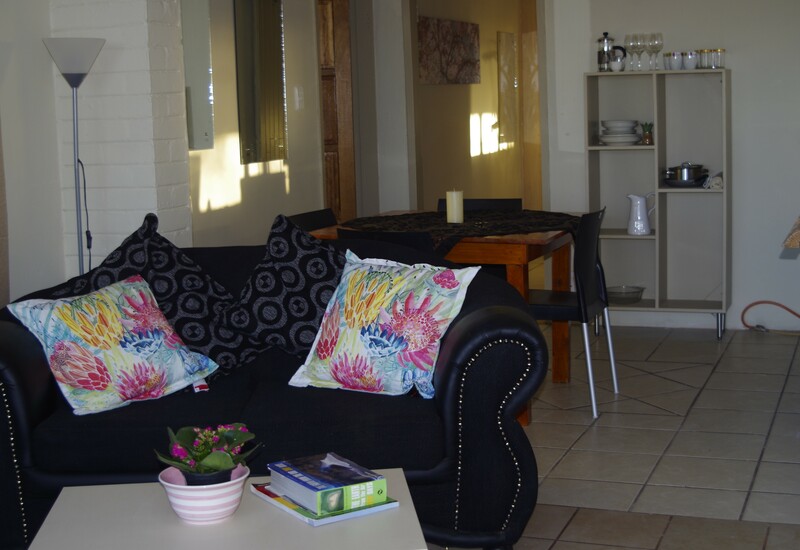 With a cosy lounge, a dinig area, a well equipped kitchen, your own car port and a stoep with braai and stunning views you will have all you need. 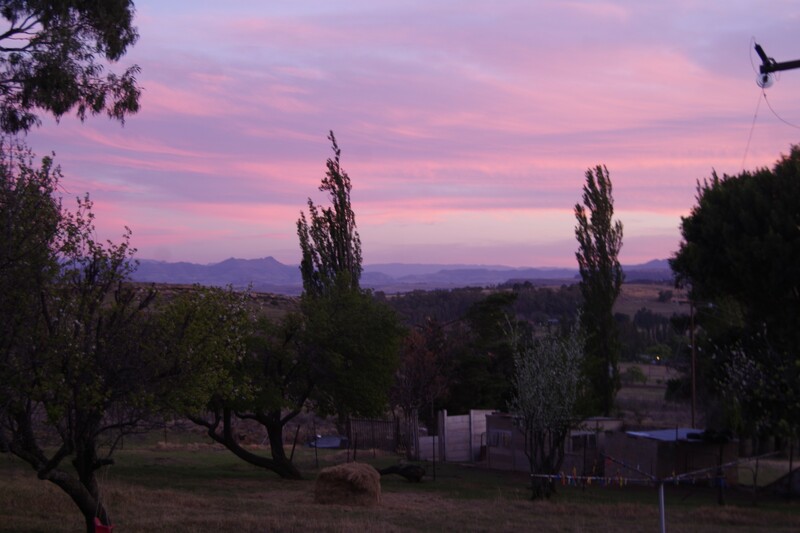 The peace and tranquillity of the farm will add beautifully to your stay! 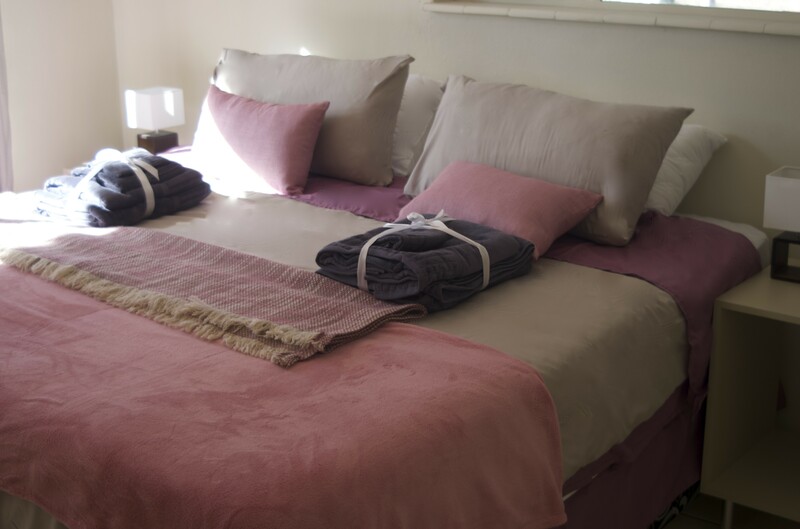 A good night's sleep is taken care of in the king size bed in the main bedroom and a second room offers either a double or twin beds. A full english breakfast and continental are available in your apartment at extra cost. Please notify us in advance of your stay. Hearty home-cooked evening meals are also available. 24 hrs advanced notice needed (Extra Charge).